The exhibition with "Cribs from Hallstatt and around the world" can be viewed daily between the 2nd of December 2017 and the 7th of January 2018. Advent in Hallstatt, that means colourful lights, culinary delights and much to see and marvel at. 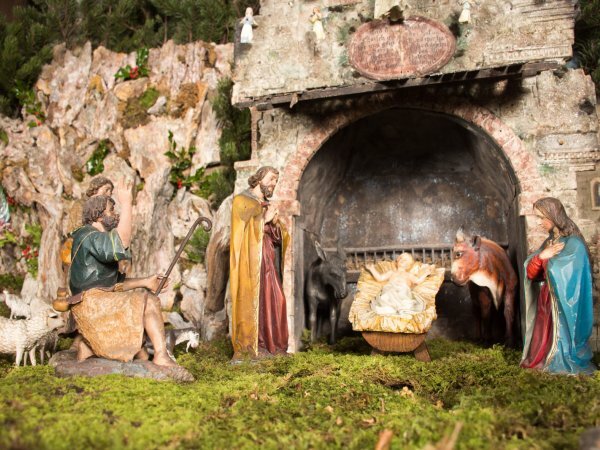 This year's nativity scene exhibition, under the Janu sports shop, is small and beautiful. This Advent you can take a heavenly view of a very special kind of folk art in the historic premises in the centre of Hallstatt - directly opposite the World Heritage Museum : Christmas cribs from Hallstatt and around the world. A very special piece of tradition. The exhibition with "Cribs from Hallstatt and around the world" can be viewed daily between the 1st of December 2016 and the 6th of January 2019.